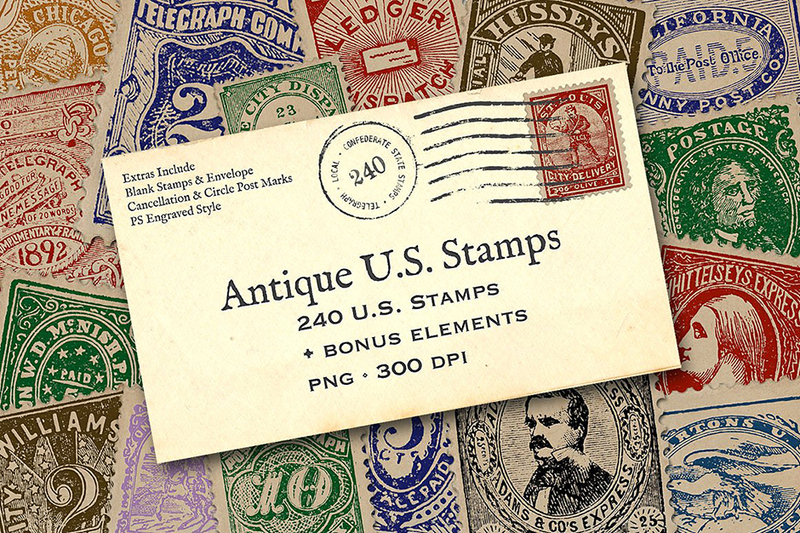 This set of 240 Antique US Stamp Graphics came from an antique stamp collector’s book from the late 1800’s. 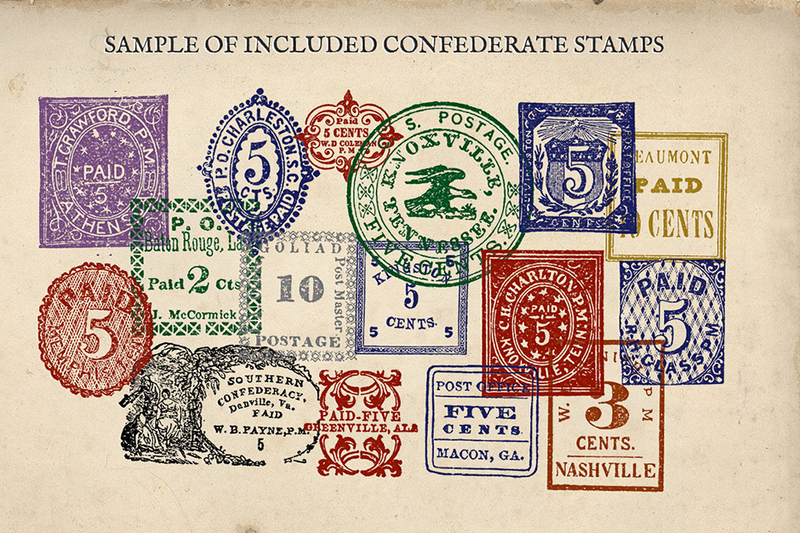 Many different types of stamps from the 1840’s-1890’s are included, such as local stamps, telegraph stamps, and even stamps from the Confederate States released at the beginning of the Civil War. 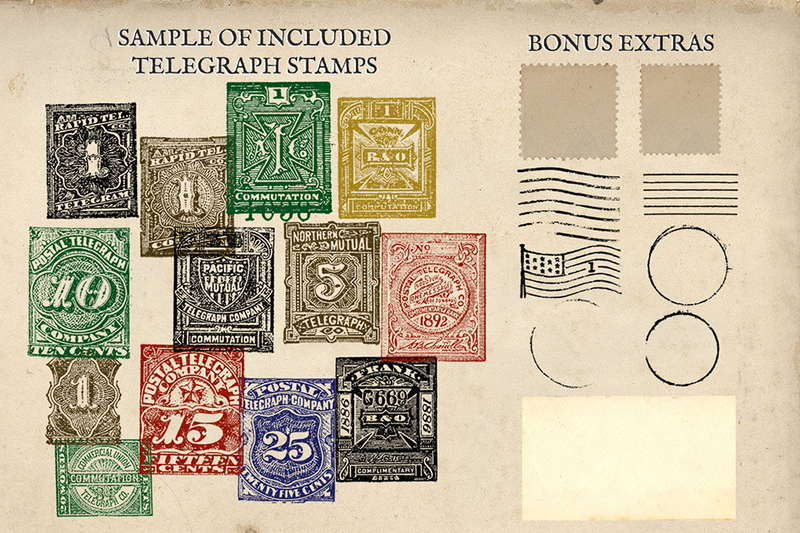 Each stamp is dated in the files, and they are colorized according to the color that they originally were. You can, of course, change the colors in your graphics program if you want. The stamp files are each in png format with a transparent background at 300 dpi. 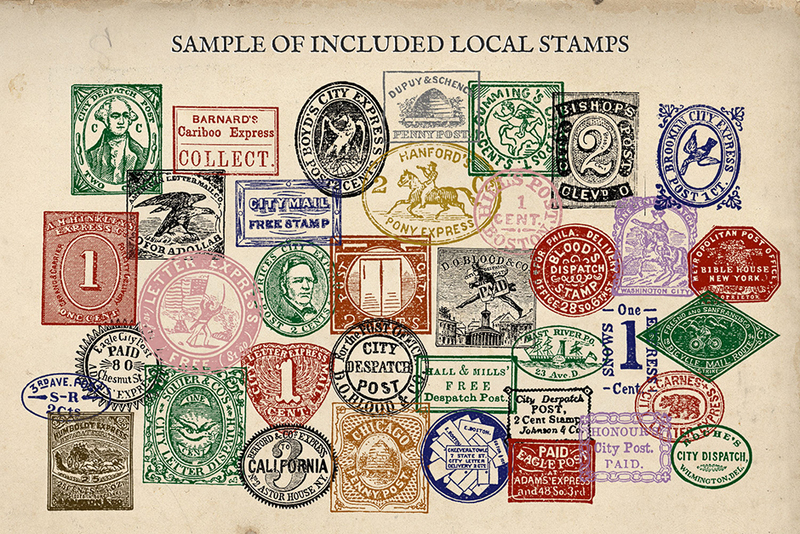 Size varies, and each stamp is sized at approximately 2″-3″ at the tallest or widest point. Since these came from the book, and not original scans of the stamps themselves, the texture and quality of them is what I would call weathered, so they are authentically antique. Also included in the set are 2 blank paper stamp files (.PNG), 3 cancellation marks (.PNG), 3 circle postmarks (.PNG), and envelope (.JPG) to make designing with the stamps a bit easier. 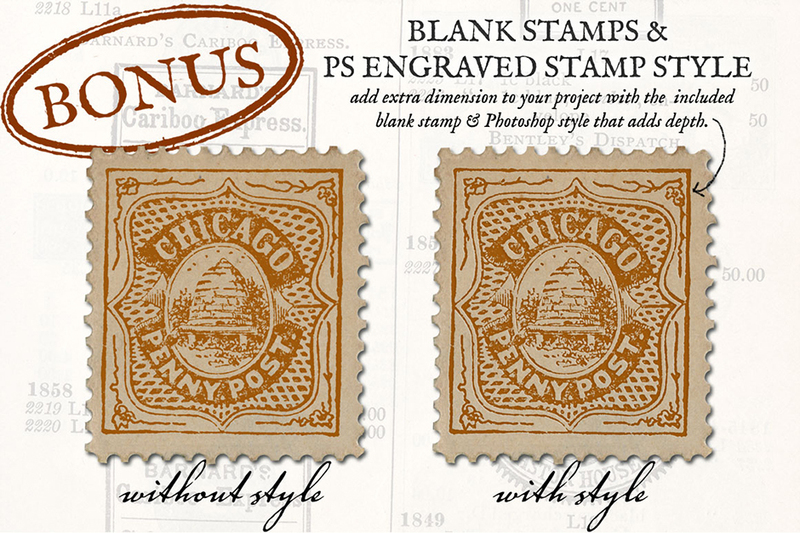 One more thing that is included is a Photoshop style (.ASL) that adds just a bit of depth to the stamp images. You can play around with the settings to work best with what you prefer. The Photoshop style is the only element that requires Photoshop, as the rest of the files can be opened whatever graphic editor you prefer. File size is approx 85MB (100.5MB unzipped), offered as a single download.